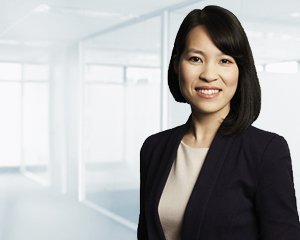 As a member of the accounting team in Melbourne, Tu Nguyen specialises in self managed super fund accounting, administration and taxation and assisting clients in Adelaide and Melbourne with the establishment, administration and compliance of their SMSF. On a day-to-day basis, Tu is responsible for managing a team that proactively and efficiently handles the ongoing accounting and administration requirements of her clients’ SMSFs throughout the year. Tu completes clients’ financial statements and tax returns and organises the independent audit at year-end, ensuring the work is of the highest standard and the utmost importance is placed on accuracy. Tu is a personal point of contact for her clients to ensure high levels of service. Tu says that Dixon Advisory clients benefit greatly from having a team of friendly, professional accountants who are always available to assist with their accounting, administration and compliance needs. This helps give them the peace of mind to enjoy their retirement. “It is satisfying to know that the assistance I provide clients helps free up their time; whether that allows them to enjoy their retirement or focus more on work. I always enjoy interacting with my clients by getting to know them and understanding their needs as well as often sharing their travel stories,” Tu says. Tu has a Bachelor of Commerce, majoring in Accounting and Finance from The University of Melbourne. She is also a member of the Institute of Chartered Accountants (CA) and a qualified Chartered Accountant SMSF specialist.